A structural and electrical inspection is required for all 40-year-old buildings in Miami-Dade and Broward Counties (and every 10 years thereafter). These buildings must be recertified by a registered Florida Engineer or Architect for safety. The purpose of the inspection is to minimize structural and electrical failures and be better prepared for hurricane-force winds. The inspection also helps owners plan for future repairs and renovations. If your commercial or residential building is 40 years or older, then you have received or will receive a letter from the County: "Notice of Required Recertification." From the date of notice, the property owner has 90 days to complete the required inspection. It is always better to manage the process in advance than waiting to deal with code violations and fines. 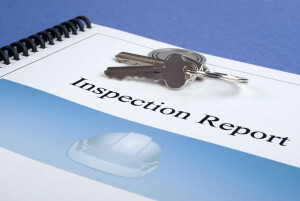 Our licensed and qualified inspection team will visit your building. Once on-site we will perform a structural and electrical inspection as required by Broward or Dade County. We have been performing these inspections for longer than most other inspection companies which allows us to provide this service not only at a reasonable price, but to keep your repair costs (if any) at a minimum.